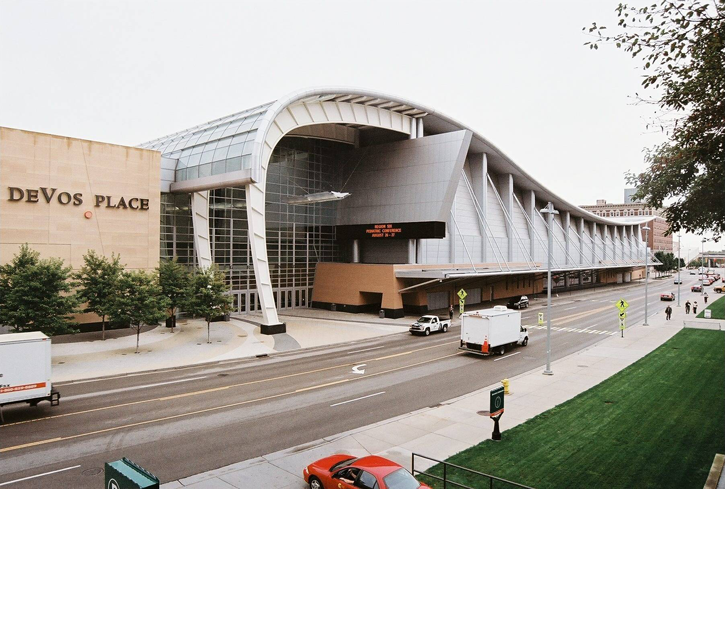 Architects Gary Johnson and Donald Eyberg collaborated as part of a team of professionals at Ellerbe Becket on Devos Place, a premier convention center. The curvilinear aesthetic developed for the building exterior was carried inside in the form of sensuous curved patterns of terrazzo in the grand corridor linking the downtown with the river’s edge. Gary Johnson developed the enormous lobby arcade which links the downtown with the river. Mr. Johnson was also was in charge of pre-function spaces and integrating an historic theater lobby with a new ballroom.